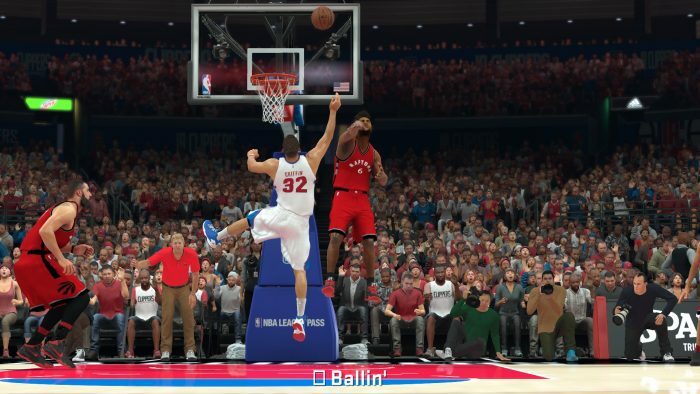 REVIEW: NBA 2K17 – PLAY! PLAY! When a franchise is released on a patterned timeframe of (usually) one year, there’s always the question of how will it distinguish itself from its predecessors – in graphics, gameplay, or innovations and options that it brings. Some series have become known as milking cows for their publishers, but those games usually don’t HAVE to be released yearly. Ok, nothing is mandatory, but sill – some new Call of Duty or Assassin’s Creed wouldn’t be hurt by a short break in their quest to spam the players with yearly titles. Now, how much can that be applied to sports simulations? 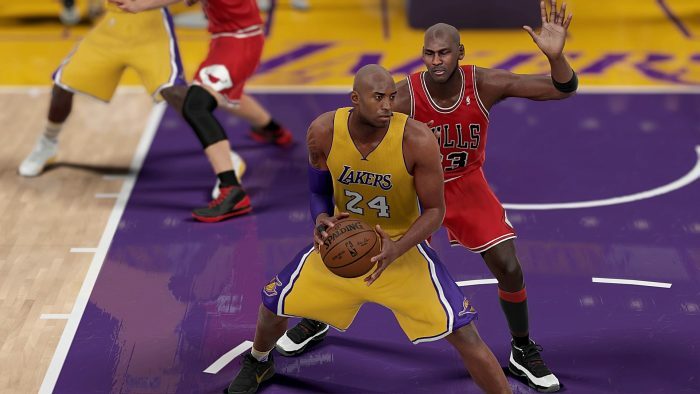 We feel that chaos would ensue among the sport games’ fans if FIFA, PES, or NBA2K decided to take a year’s break. 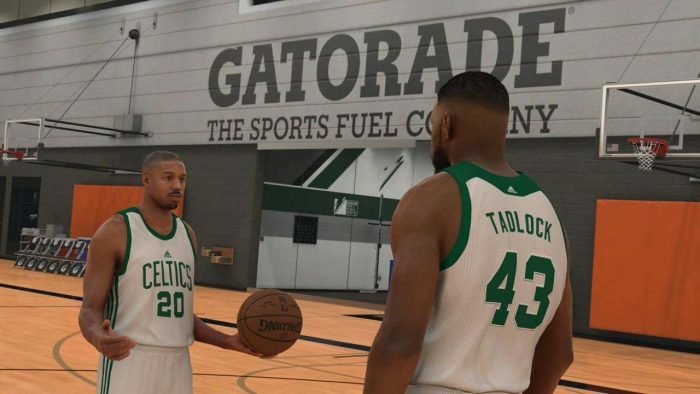 However, they can be excused from their yearly releases, not because they always bring something new, but because it’s cool to play your favorite sports game with the newest transfers and updated ratings. I mean, who’s still playing FIFA14, right – even though it’s an excellent football game. 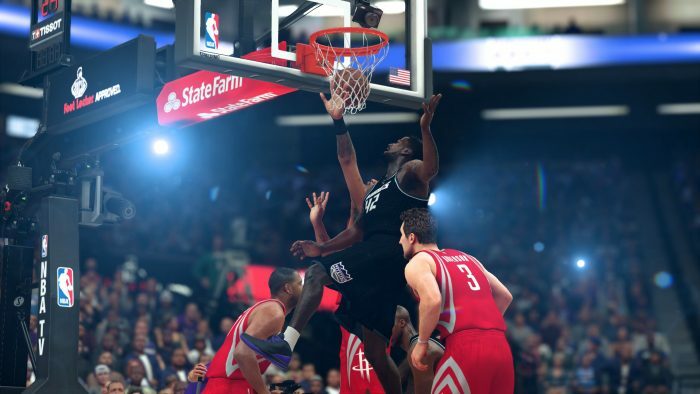 So, what is new with NBA2k17, 2K Games’ newest addition to the franchise? Well, almost nothing special. But then again, it’s very hard to make something new and fresh when the previous games were close to perfection of what today’s technology allows. Of course, there’s always room for improvement, but they’re not as obvious at first and someone watching from the side might be unable to guess if you’re playing 2k16 or 2k17 edition of the game. That means that this year’s and last year’s games are fairly similar when it comes to graphics. Of course, there are a few new animations, smoother dribbles, different textures for the players themselves, but none of that is especially noticeable. Same can be said for the audio, which already had little room for improvement, except to bring new personalities to comment on the games (we finally got Chris Webber). We got to commend the broadcasting crew, because it all seems so smooth and so real, and it might even be said that 2k17 has the best commentary segment so far. The soundtrack on the other hand might be one of the worst ones over the past few years, but again – that is an extremely subjective segment to rate properly. When it comes to game modes, rest assured that if you’re a fan of the NBA, you won’t feel deprived of challenges. As before, you can start your own career, you can take on the role of a team manager, you can collect cards and create your virtual dream team and plow your way through to trophies and rings. 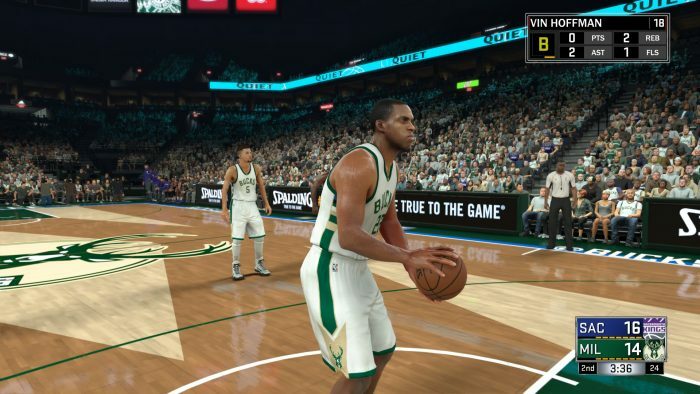 Of course, blacktop mode is there for those who prefer playing on concrete rather than in a hall, or you can go online and battle for promotion to better leagues and better players with greater challenges. Rest assured that NBA2k17 packs hundreds of hours of fun if you decide to buy it, so you definitely won’t have cause to complain about a lack of quality content. Speaking of the online mode, it seems that there’s finally been significant progress in online matchmaking. Lag during the games is nearly unnoticeable, and the gameplay feels as smooth as when you’re playing against AI or in hot seat mode. This might be the greatest improvement in this version and certainly something for online players to look forward to. The experience of going to MyPark and starting a 3v3 game on concrete with other players is definitely the best so far, especially because of the network code optimization. Of course, you can play the single player career mode (directed last year by Spike Lee), which is not as pretentious as 2k16’s. So you’ll follow a predefined storyline of a player, but without the last year’s melodramatic story, which can easily be called one of the famed director’s worst pieces of work. Your player’s hands are still tied over many choices, so you won’t be able to pick nationality, but will instead have to get to the NBA through college, just like every other US citizen. 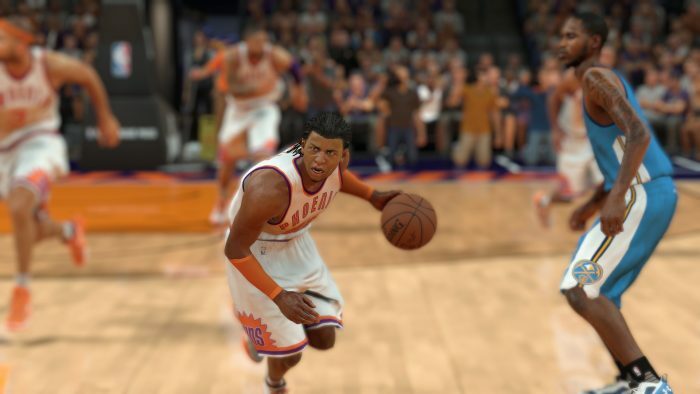 The game is still filled with microtransactions, which have been somewhat adopted as a feature over the last few years, so don’t be surprised to see players in MyPlayer and MyTeam mode with ratings far exceeding those f mere mortal players (who have ONLY bought the game), who’ll need hours upon hours of gameplay to reach them. Still, if you enjoy basketball that shouldn’t be too much of a hassle, because even though the game might seem grindy at times, every true fan will have no issues with playing matches to upgrade their team or player, and “gold” will come by itself. Some things have remained shoddy at best, those not necessarily connected to the NBA. That pertains mostly to the included European clubs, which again had barely any attention given to them so their players, ratings, and team transfers seem like an afterthought in this otherwise polished package. For example, reigning European champions CSKA has a rating of 60 (one more than Red Star), while some random team, such as Armani, has better rated players and rating higher than the current champion. Luckily, mods rectifying these mistakes are already here and ready to download. So to summarize, NBA2k17 has its audience and everyone who loves this type of games will surely enjoy this year’s edition. Game by itself has no major flaws, and someone who’s never played an NBA game would be blown away by the amount of content on offer. On the other hand, fans of the franchise won’t notice many major differences over the past few years. If you like to be at the top of all that’s going on in the world’s best league, then this title will fulfill all your needs. However, if you’re expecting something entirely new, something never before seen, don’t keep your hopes up because last year’s game is in no ways inferior to this one. But, everyone likes to be trendy, and 2k17 is the reigning game of all virtual basketball courts since this September. And so it will remain until the autumn of 2018.